His Highness Sheikh Mohammed bin Rashid Al Maktoum, Vice-President and Prime Minister of the UAE and Ruler of Dubai, has given instructions to rename the Academic City Road in Dubai after UAE war hero Sheikh Zayed bin Hamdan bin Zayed Al Nahyan. Sheikh Zayed bin Hamdan - the grandson of the late Sheikh Zayed bin Sultan Al Nahyan - was among the three soldiers injured in a helicopter crash that took place in Yemen's Shabwah Governate in August 2017. He had returned to the UAE on Saturday after treatment abroad. Taking to Twitter to announce the decision to rename the road to Sheikh Zayed bin Hamdan Al Nahyan Street on Tuesday, Sheikh Mohammed said: "This arterial street that is used by tens of thousands of students every day shall bear the name of one of the Emirati youths the nation is proud of. "This street embodies the persistence, determination, resolve, power and sacrifices of the Emirati youth. 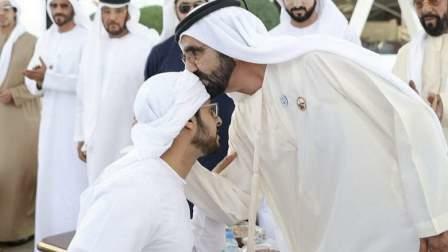 "Oh Zayed bin Hamdan, may you and the nation's youths keep serving your home country."